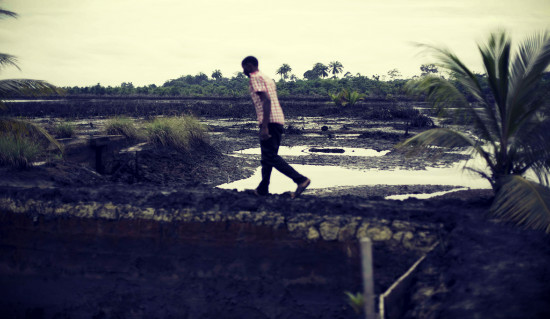 London – 40,000 villagers from the Niger Delta are now set to take their oil pollution case to the UK Supreme Court in a long-running legal battle. In a ruling handed down this morning, the Court of Appeal found that London-based Royal Dutch Shell is not responsible for oil pollution in the Niger Delta by its Nigerian subsidiary. The Court rejected an appeal brought by the Ogale and Bille communities against an earlier decision that a claim against the London-based parent company had no prospect of success and that, therefore, the claim against Shell Nigeria could not proceed. The villagers will now seek permission to take the case to the Supreme Court. CORE’s Director Marilyn Croser commented, “The ruling is a gift to irresponsible multinationals, sending the message that they can abuse human rights and wreck the environment with total impunity". Read the full article in CORE's website. More information on the case in our UK country section.